Lead vocalist/guitarist Ritzy Bryan and bassist Rhydian Dafydd originally played together as part of indie rock band Tricky Nixon, which later reformed into a New Wave/post-punk band Sidecar Kisses. 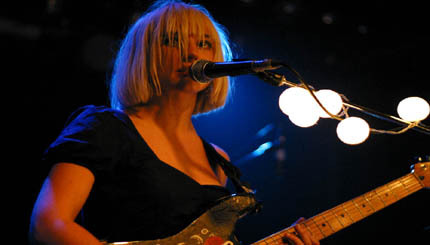 They regrouped on returning to Mold, Wales and formed The Joy Formidable in 2007. Their music has been described as "primal epic grunge rock à la The Breeders, Arcade Fire and Yeah Yeah Yeahs" and they were citied by The Guardian as "one to watch" in 2008.